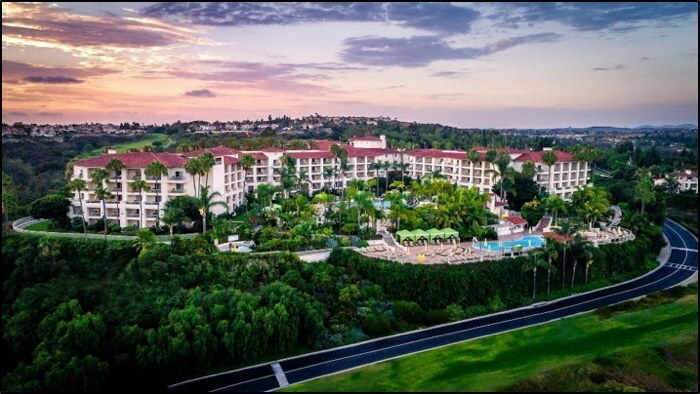 Xenia Hotels & Resorts, Inc. (NYSE: XHR) today announced its acquisition of Park Hyatt Aviara Resort, Golf Club & Spa, a 327-room luxury resort located in Carlsbad, California, for a purchase price of $170 million, or approximately $520,000 per key. Xenia Hotels & Resorts, Inc. (NYSE: XHR) today announced its acquisition of Park Hyatt Aviara Resort, Golf Club & Spa, a 327-room luxury resort located in Carlsbad, California, for a purchase price of $170 million, or approximately $520,000 per key. The Company does not anticipate the hotel to materially contribute to the company's EBITDA during the remainder of 2018. "We are excited to have acquired Park Hyatt Aviara, an iconic resort located on 222 acres in a highly desirable coastal California location," said Marcel Verbaas, Chairman and Chief Executive Officer of Xenia. "Our ability to purchase the resort at a price substantially below replacement cost and well below those of comparable resorts in the region provides a significant value creation opportunity for the Company." "The property has an irreplaceable location in the Northern San Diego submarket and should benefit from high barriers to entry and very limited luxury resort supply in the development pipeline," Mr. Verbaas continued. "We see substantial opportunities to enhance financial performance at the resort through our asset management initiatives as well as a comprehensive capital plan to elevate the resort above its prior competitive positioning. We look forward to working with Hyatt to improve the asset physically and operationally which we believe will improve the resort's regional and national appeal and result in strong growth in revenues and profitability." Situated on a prominent 222-acre site, Park Hyatt Aviara Resort, Golf Club & Spa features 327 rooms, 78,000 square feet of meeting space, and impressive amenities including the 15,000 square foot Aviara Spa, six tennis courts, two outdoor swimming pools, Aviara Kids Academy, and the highly acclaimed Aviara Golf Club, which includes an 18-hole golf course designed by Arnold Palmer. San Diego is firmly established as a leading year-round visitor destination with its idyllic climate, 70 miles of pristine beaches, and an extensive array of renowned attractions. As part of the 1,443-acre Aviara master planned community, Park Hyatt Aviara Resort, Golf Club & Spa enjoys a prominent location in North San Diego providing convenient accessibility to the region's primary demand drivers including a wide range of corporate, leisure, and group demand drivers. The resort also benefits from local demand generated by Aviara's affluent resident base and the adjacent Four Seasons Residence Club. The resort will continue to be managed by Hyatt, which has managed the property since 2010. In addition to this asset, Hyatt manages eight other assets owned by Xenia, including Hyatt Centric Key West Resort & Spa, Hyatt Regency Santa Clara, Andaz San Diego, Andaz Savannah, Andaz Napa, Hyatt Regency Grand Cypress, Hyatt Regency Scottsdale Resort & Spa at Gainey Ranch, and Royal Palms Resort & Spa. Are you with Xenia Hotels? If you are a member of Xenia Hotels you may be interested in learning how to optimize your content on our network.